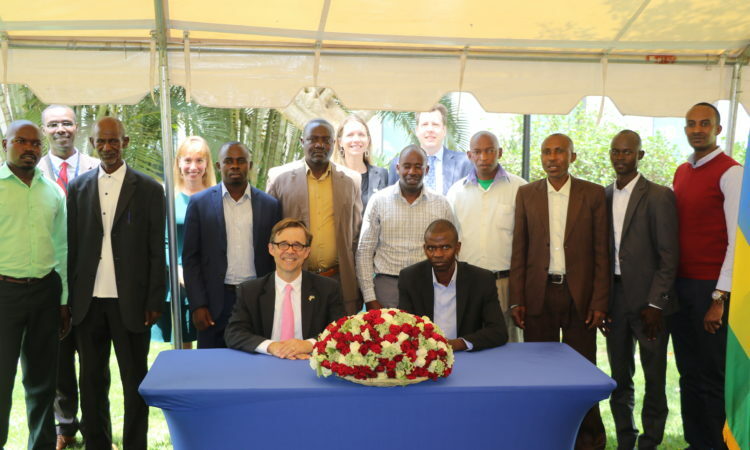 The Ambassador’s Small Grants Program is part of the U.S. Government’s efforts to support economic development, improve livelihoods, and boost value-added agriculture. The U.S. Embassy publishes a Notice of Funding Opportunity (NOFO) once a year to invite applications to the ASG program. The NOFO is usually published in June and grants are awarded in September. To learn more about the ASG Program, please go to our Embassy website for updates or send an e-mail to kigaliasgp@state.gov. This year’s grantees are cooperatives pursuing projects that include tilapia farming, solar-powered irrigation systems, high-value agriculture, and raising livestock. All four of this year’s grantees are located in the Eastern Provence. The projects, which are expected to assist 165 direct beneficiaries and 638 indirect beneficiaries, are scheduled to start in October 2017 and be completed by September 2018.